The findings could facilitate efficient production of collagen for the food, cosmetic and pharmaceutical industries. 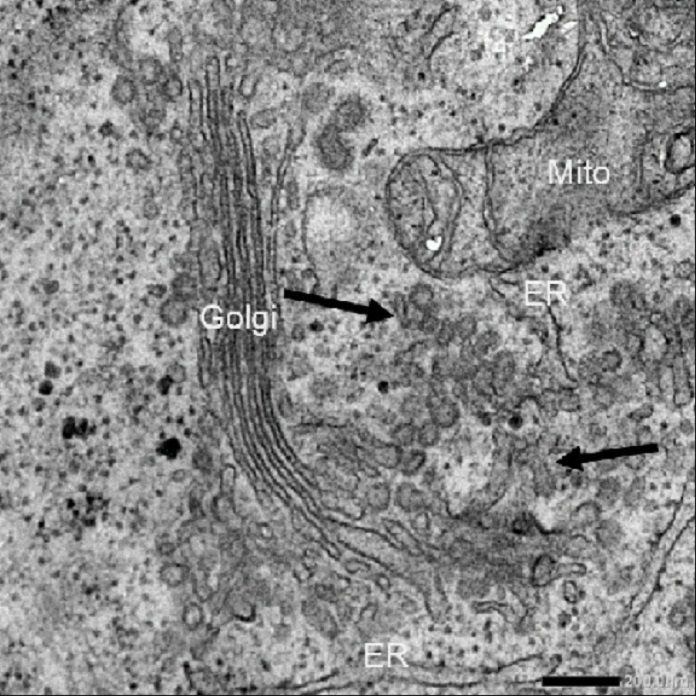 Image of a cell's interior without USP8 Electron microscopy imaging reveals the presence of many interconnected vesicles, which appear to behave like collagen carriers (indicated by arrows). The majority of our cells make and discharge proteins. The proteins are bundled as “cargo” in minor, bubble-like vesicles previously being transported outside the cell. This procedure, known as secretion, is essential to solid development and advancement. Albeit numerous examinations have demonstrated how these vesicles, called COPII carriers1, handle moderately little-measured cargo, few have concentrated on the workings of strangely extensive bearers known to bundle expansive proteins, for example, collagen. 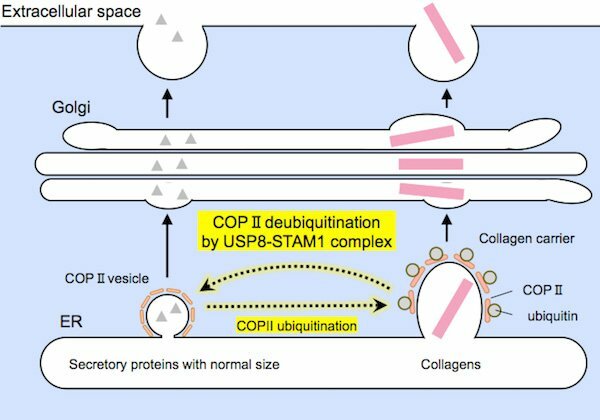 Scientists at the Tokyo Tech have discovered an enzyme called USP8, that controls the formation of large collagen carriers. The group demonstrated that “switching on” USP8 restrained the arrangement of large carriers, and thus reduced collagen discharge. Then again, turning USP8 off advanced collagen transport, which prompted expanded collagen secretion. Immunostaining experiments revealed a high concentration of collagen (green signals) in the Golgi region prior to secretion. Excessive collagen secretion in the human body is known to cause organ fibrosis2, while too little collagen secretion is associated with bone diseases including cranio–lenticulo–sutural dysplasia (CLSD) and Cole-Carpenter syndrome. New treatments for these diseases could be developed through a further understanding of USP8’s exact mode of action. 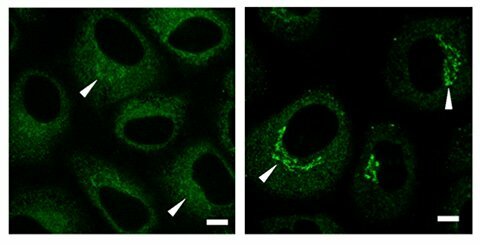 Scientists found that the enzyme works by deubiquitinating a protein called Sec31A, a component of the COPII vesicle coat required for protein export. Relatively small-sized proteins (on the left) and large collagens (on the right) are encapsulated by COPII carriers of suitable sizes prior to secretion. The USP8-STAM1 complex inhibits the formation of large collagen carriers. It was this “accidental” finding, combined with promising results from other groups in the US, that led the team to examine the role of USP8 in the formation of COPII carriers.